Restoring the Roost: This Place Matters! Historic Preservation can mean many different things to different individuals. Sure, it's about preserving, restoring and rehabiltating historic structures, it means saving our high style as well as our vernacular architectural history, it's even associated with economics and sustainability, but I think even more importantly preservation should be about community. Without our historic places, our landscapes, our memory of the stories of who and what came before us, our communities would lose much of their value and would lack a sense of place. We as citizens need to be instilling in our young folks a sense of pride and place in our communities, and we need to be teaching children the local history of our communities in order that they may value what is there and perhaps someday stand up and fight for the places that face the wrecking ball. I see so many young people with an apathetic attitude towards history in general; a dangerous outcome in my mind. Our nation's history is certainly important to learn, but I believe our state and local history is crucial to solidifying the bond that we often form with our historic sites. 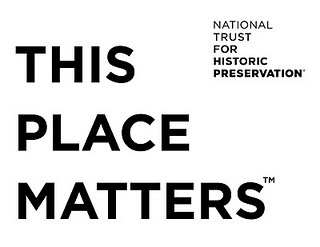 As a tribute to our local historic sites and the architectural gems in our communities, I want to introduce you (if you don't already know) to the National Trust's This Place Matters campaign. This effort is geared towards drawing attention to the historic buildings and places that matter to us personally. 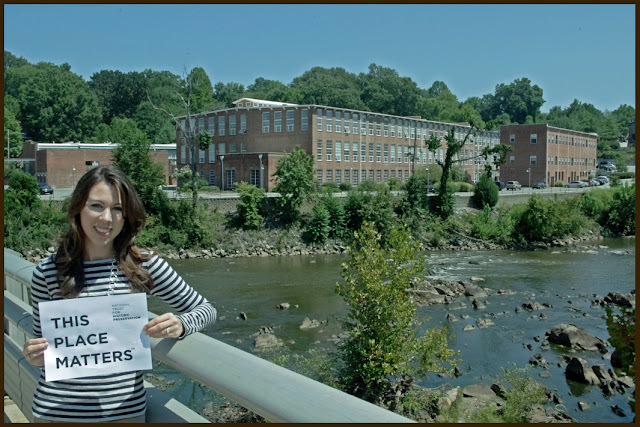 To participate all you have to do is print off the This Place Matters sign from the National Trust website, take a photo of yourself with it in front of a historic property whose history matters to you, and upload it to the Trust's website. I would love for you to send me your "This Place Matters" photos (restoringtheroost@gmail.com) and feature you here on my blog. Just be sure to provide a brief description of the place or building with your photo and why it matters to you. If you work in a historic building that is receptive to this message, all the more reason to post a "This Place Matters" sign up in a window. Don't forget about special mid-century buildings from our recent past-- they are equally important. In order to win even the smallest fight, we must advocate for the importance of preservation in our communities. So, with that said, get out and start finding and learning about those historic places that matter to you! I have to take my hat off to you on this one. I am so glad people still have an interest in the past and our Heritage. Seems like all most young people are interested in today are cell phones and electronic toys. I hope we wake up soon and realize that it is not always to the best advantage to tear down and build new, especially when new is a tin barn shopping center. Thanks for your effort. Richard from My Old Historic House. I love Saxapahaw!! !...we have had lunch and dinners many times there!...Definitely a place to preserve! !